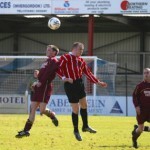 Welcome to The NEW Thurso F.C website – Home of The Vikings and treble winners for season 2002/03. This site will keep you updated on all the latest news, scores, match reports, stats and also have some excellent features such as Match Photographs, a messageboard, interactive polls, history of the club with archived results and memorable moments since the formation of the club in 1998 and so much more. Next match – The match on Saturday the 20th of March in a MSIS North Caledonian League fixture against Bunillidh Thistle in Helmsdale has been postponed as the home side cannot get enough players for this game. 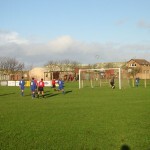 Next game is at home to Balintore on Saturday 27th March 2004 with a 3 p.m kick off with the support of bet365. Home games update – there will be bingo draws at the home games that we organize together with the guy from www.topratedbingosites.co.uk. 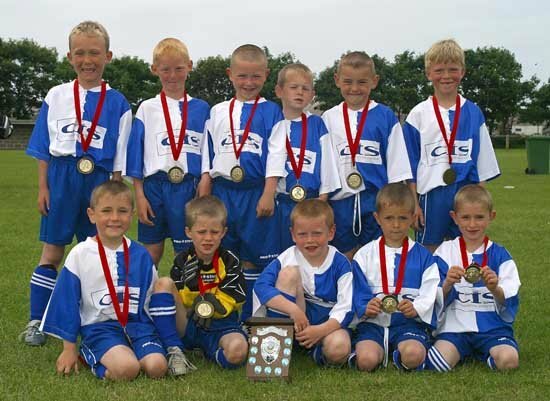 Below are some of the main events in the short history of Thurso Football Club, formed in 1998 plus some pictures of players past and present. 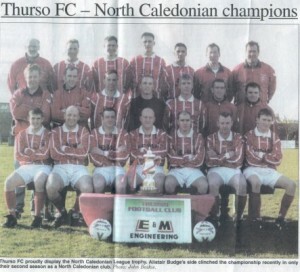 Thurso F.C team who won The Jim Holliday (Millenium) Cup after our 2-1 win at Halkirk in April 2000. 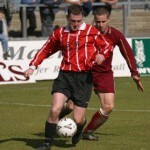 The match was also a second round Morris Newton cup tie. Thurso F.C team who won The PCT Cup after our 2-1 win against Alness United in Golspie during the 2001/2002 season.